I am a founding member of Orquesta La Moderna Tradición and I have play flute with the ensemble since 1997. The group is one of the most significant charanga ensembles in the movement to recover and modernize the Cuban Danzón and Cha-cha-chá. 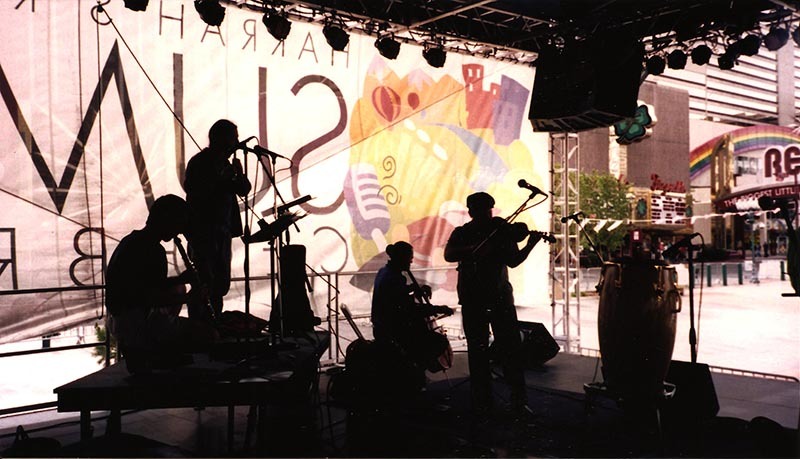 Orquesta la Moderna Tradición is a unique ensemble dedicated to the performance of classic Cuban dance music, especially the lilting grooves of the danzón. A legendary ballroom style that developed from the syncretization of the African and European music in Cuba, danzón blends the grooves of the Afro-Cuban drums with the refined riffs of the flute and violins. One of the most popular styles at the turn of the twentieth century, danzón led to the development of the cha-cha-cha and Argentinean Tango. Orquesta La Moderna Tradición performs classics of the genre along with original compositions and the modern Cuban highly syncopated grooves. February 6, 2004— Atwood Concert Hall, Anchorage, Alaska.